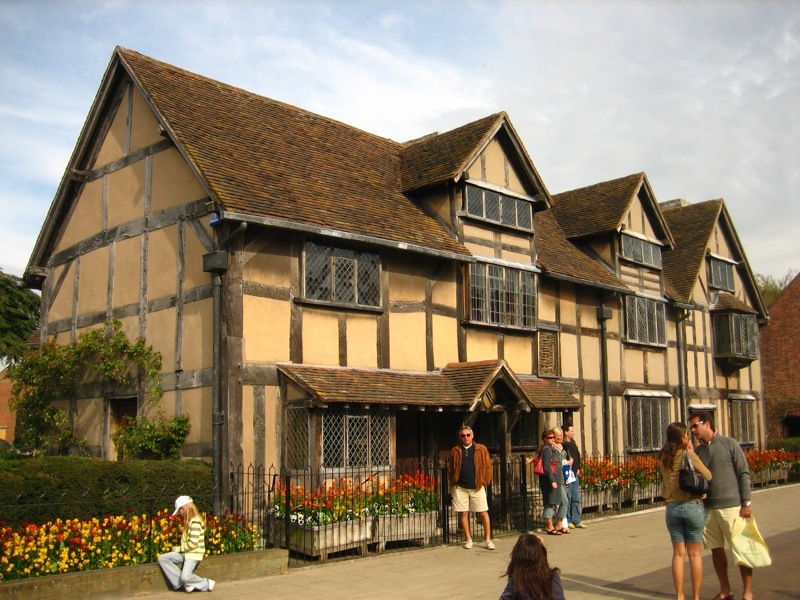 "House Where Shakespeare Was Born"
In the heart of the city, is the house where Shakespeare was born in 1564. The entrance to the house is via the visitors' center. Here you will find the highly acclaimed Shakespeare Exhibition. This comprehensive display superbly illustrates the Bard's life and career in the city. 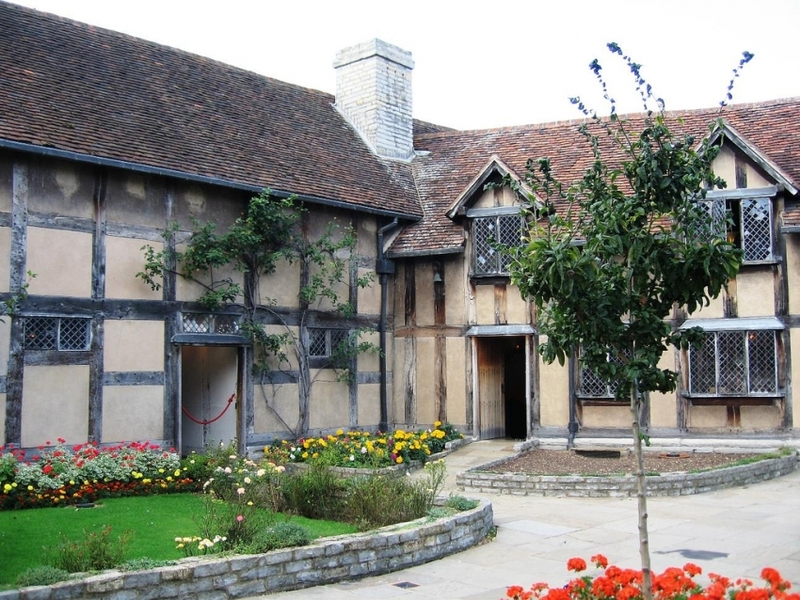 Having walked through the exhibition, you emerge into a garden laid out with flowers, trees and shrubs that were familiar to Shakespeare and that were mentioned in his work. The house itself has been faithfully reconstructed and now offers a fascinating insight into Shakespeare's life as a child. Rooms have been furnished as accurately as possible with replicas of 16th Century everyday objects, furniture and textiles having been commissioned. Take yourself back in time and reflect upon the tales that began here.